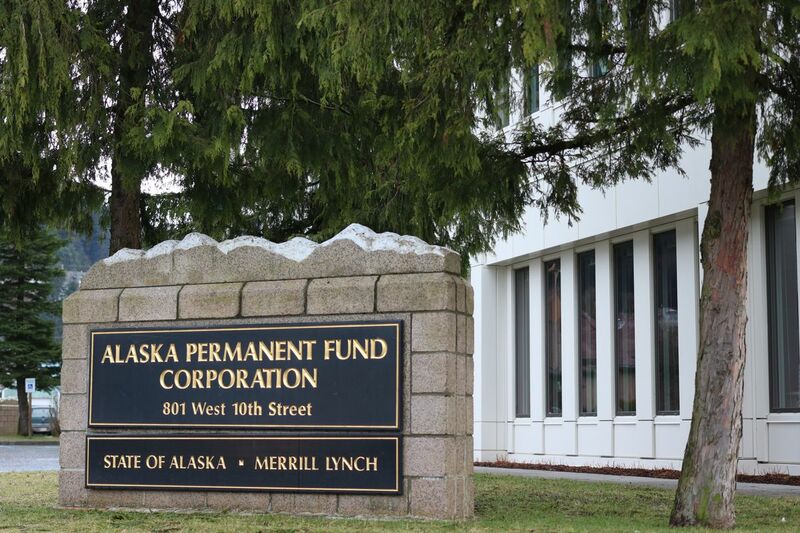 Alaska Permanent Fund Corp. managers encountered challenges in the first quarter of the 2019 fiscal year, generating a 2.13 percent return during the first period they are being relied upon to provide revenue for government services. The Permanent Fund ended the quarter Sept. 30 with a balance of more than $63.9 billion, according to Alaska Permanent Fund Corp. financial statements. CEO Angela Rodell said in a formal statement that the less-than-desirable quarterly return highlights the significance of having of a well-diversified investment portfolio and "meaningful allocations to private market assets." "As the market becomes increasingly volatile, it is more important than ever to remember we invest with a 10-, 25-, 50-year or longer time horizon. Our APFC team continues to be focused on building real financial wealth and resources for the State of Alaska," Rodell said. APFC leaders expect financial markets to remain volatile through the rest of the fiscal year, according to a corporation release. Fund investments generated $846 million in statutory net income, according to an APFC report, which is transferred to the fund's Earnings Reserve Account and can be appropriated by the Alaska Legislature for inflation-proofing the fund principal, Permanent Fund Dividends or government expenses. The Permanent Fund's $63.9 billion total balance was $931 million less than the nearly $64.9 billion at the start of the quarter despite the net income growth largely because — for the first time — money was appropriated from the Earnings Reserve Account to help fund state government operations. The Legislature approved a 5.25 percent of market value, or POMV, draw from the fund in May; however, it was for the fiscal year 2019 state budget and not actually made until after the new budget cycle began on July 1. About $1 billion of the roughly $2.7 billion POMV draw went to pay annual PFDs, which were distributed in October, and the remaining $1.7 billion will help fund government services. According to the APFC, about $1.4 billion of the overall draw was distributed prior to Sept. 30 and the remaining $1.3 billion will be transferred to the General Fund over the rest of fiscal 2019. The Earnings Reserve Account held approximately $17 billion as of Sept. 30. The 2.13 percent quarterly return was down from a full-year 2018 investment return of 10.74 percent, which netted $5.1 billion of growth in the Permanent Fund. Still, the relatively slow start to 2019 for fund managers was better than a comparable 2.06 percent passive index benchmark return during the quarter. Over the past five years the APFC Board of Trustees has set a strategic return objective of 6.52 percent, which managers have bested with a five-year return average of 8.32 percent. The fund's $3.9 billion real estate portfolio was the lone asset class to return negative results with a negative 2.28 percent return during the first quarter. APFC managers achieved a 6.99 percent return on real estate investments in 2018. APFC spokeswoman Paulyn Swanson said via email that real estate valuations, done quarterly, "caused the slight decline on the quarter, but that the investment team expects future quarterly valuations to reverse this decline because the underlying property fundamentals are strong." Public equities, or stocks, which comprise roughly 40 percent of the fund's investments, earned a 3.18 percent return for the quarter. Stocks that performed better during the period are "viewed as relatively expensive by the fund's active and quasi-passive managers and are under owned in the public equities allocation," an APFC release states. On the flipside, the fund's $4.7 billion private equity portfolio performed the best of all of its asset classes during the quarter with a 6.38 percent return.